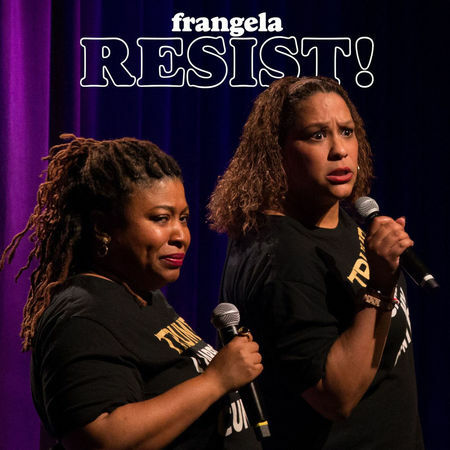 Frangela – Frangela is the comedic duo formed from the genius of Frances Callier and Angela V. Shelton. Best Friends and America’s Back Up & Black Up! Frances and Angela originally joined forces on the stage of the Second City Theatre in Chicago, finding a kindred spirit and the kind of irrefutable chemistry that only the best of friends can create. Since then, the duo has been a regular fixture on television and radio, popping up to offer their witty and scathing commentary about the pop culture and political stories of the day. They’ve worked separately too, to great acclaim, but it is when Frances and Angela get together that the sparks really start flying. They have appeared on such television shows as I’m A Celebrity Get Me Out of Here, VH1’s Best Week Ever, The Today Show, Dateline, and CNN’s Showbiz Tonight, among others. They have appeared in the film He’s Just Not That Into You and the Hulu exclusive improv series Quick Draw. They are regular guests and frequent substitute hosts on The Stephanie Miller Show. The pair tour the United States performing their stand-up act. They were recently nominated “Best Female Performers” by NACA. 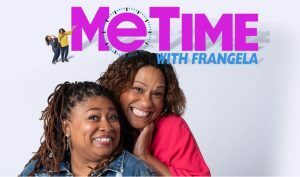 They currently host the new hit TV show, Me Time with Frangela.